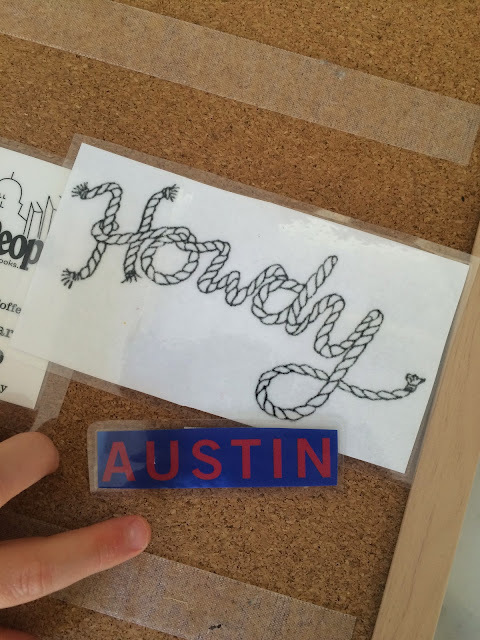 Before our recent family trip to Austin, I was trying to come up with ways to help my 3.5 year old remember our vacation. 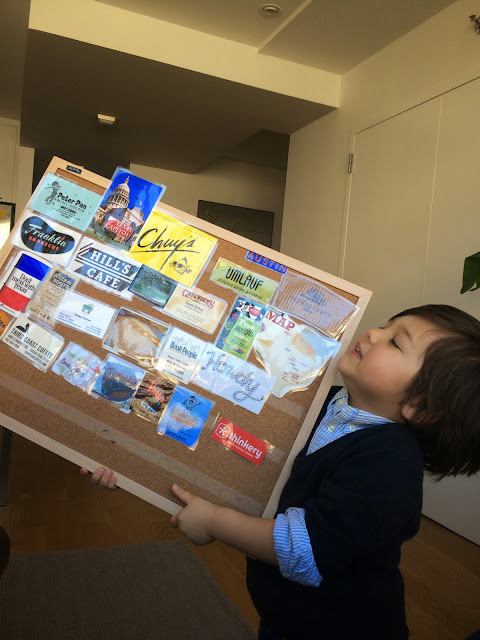 That's when I thought of collecting business cards and pictures of all the places we visited and turning it into an activity using a board and some velcro. My son really likes to rearrange the cards and talk about what we did at those places. I was thinking of also printing pictures that we took at the places and then Greyson could make a matching game out of the board. We laminated the stuff since we happen to have a laminator, but you don't have to laminate to have the same effect. I like that we made an activity out of stuff we just collected during our trip. It took very little effort to make this project, which is my kind of project. What a clever use for a pin board. My daughter writes in a journal for a similar purpose. 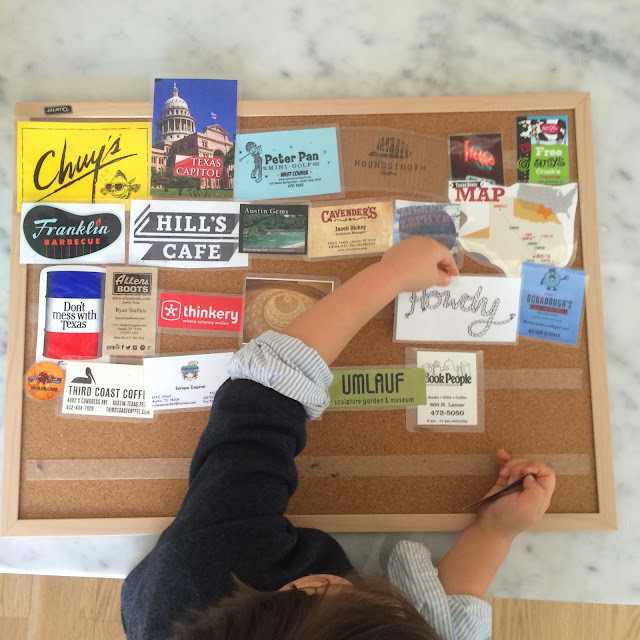 With the pin board, she can make her travel journal come alive more fully. How much do they retail for?